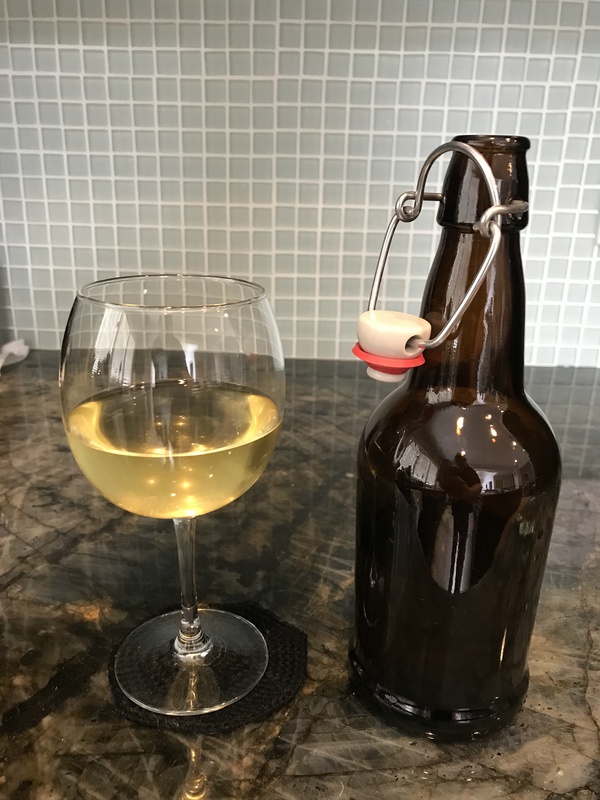 OK, two months ago I started a 1-gallon batch of a mead recipe called Joe's Ancient Orange Mead. 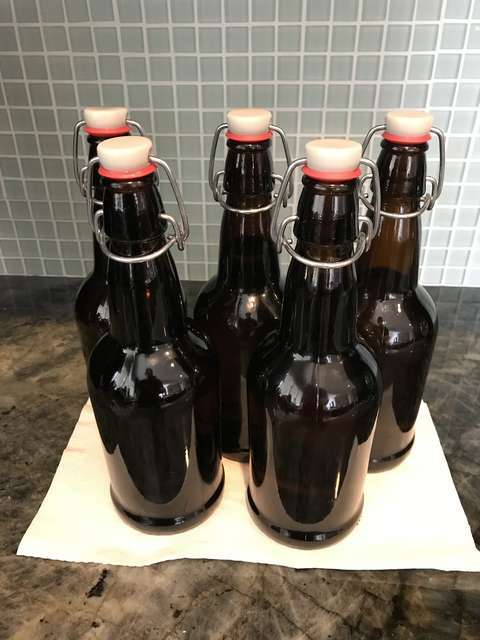 Typically one bottles after 2 months, and it also happens to be Learn How to Homebrew Day, so I decided to bottle my JAOM batch. Super easy bottling session, since it was only a 1-gallon carboy, and there was quite a bit on the lees; as a result, there were only 6 bottles, and I used up one for tasting and measuring specific gravity (1.016). So how did it taste? It was actually quite yummy! Still sweet, and definite honey taste. The adjuncts nicely blended, so that each is not individually tastable, but together they give a very nice flavour. There was a slight harshness to the heat of the alcohol, but that should mellow over the ensuing months. Overall, I'm quite impressed with this recipe, and I'll definitely be doing a full batch of it in the future!